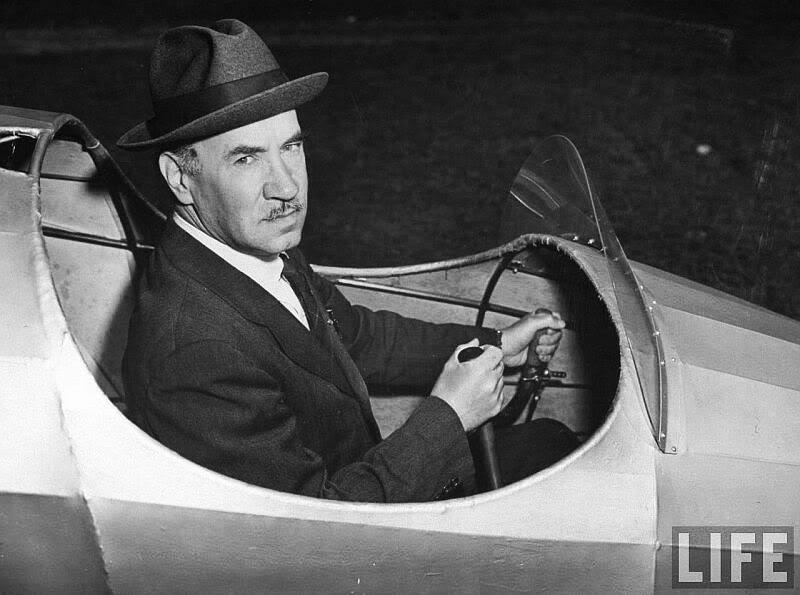 Igor Sikorsky at the controls of his experimental VS-300. The Germans got a head start on the Allies in terms of developing their helicopters. However, to some extent American helicopters of World War II leap-frogged the Germans, who never really figured out useful missions for their choppers aside from artillery spotting, reconnaissance and occasional weapons transport. In fact, the U.S. put their helicopters to good use during the war, though it is little-remembered. 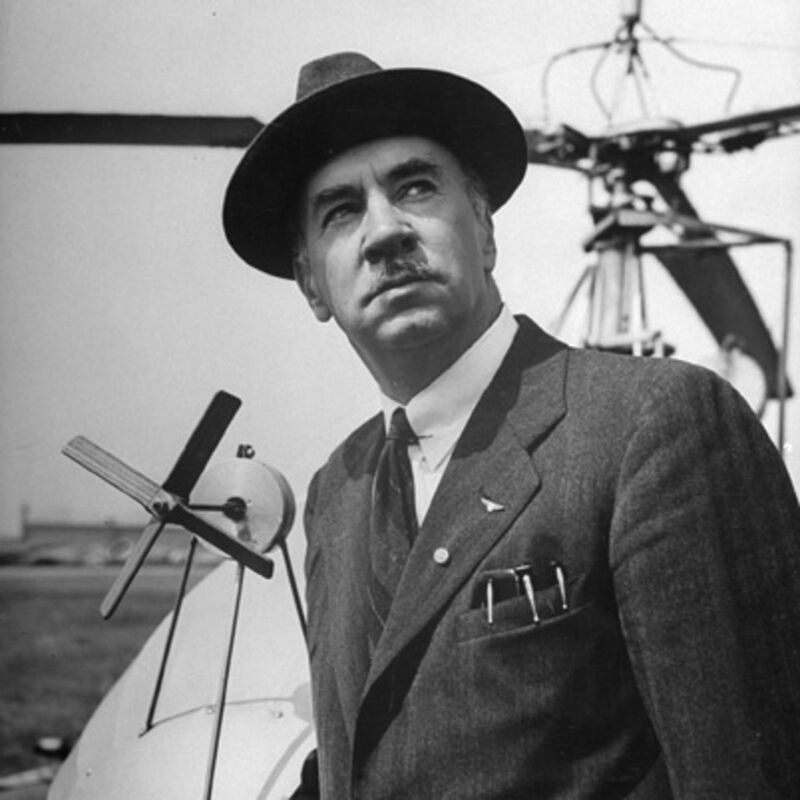 It all flows from one man: Igor Sikorsky. The Germans developed helicopters which were used for a variety of scouting and artillery-spotting purposes. Here, a U-boat in the Indian Ocean tows a Focke-Achgelis Fa 330 Bachstelze (English: Wagtail) to spot targets. Igor Ivanovich Sikorsky was born in Kiev, Russia on 25 May 1889, only a month after Adolf Hitler. He came from a noble background and had a classical education. During studies in Saint Petersburg and Paris, he developed a love of aviation. 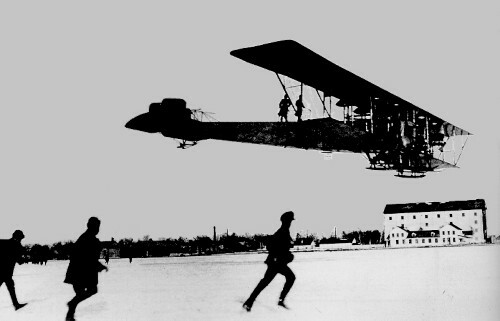 Rather than focusing on the biplanes of the day, however, he was assembling embryonic helicopters as early as 1909. However, due to the technical realities of the day, Sikorsky soon switched to designing traditional aircraft. He designed the first four-engined bomber from the S-22 Ilya Muromets. After the war, he left Russia and emigrated to the United States on 30 March 1919. After kicking around for a decade in odd jobs, Sikorsky received some funding from other Russian émigrés (such as to composer Sergei Rachmaninoff) set up his own company, Sikorsky Manufacturing. It was located in Roosevelt, Long Island, near where Charles Lindbergh later took off for Paris. Sikorsky became a naturalized citizen in 1928. He designed aircraft such as the twin-engine biplane Sikorsky S-29-A, but he soon returned to his first love, helicopters. 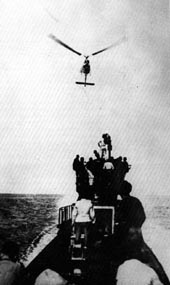 Sikorsky's first flight in September 1939. If you look closely, you can see where the VS-300 is tethered to the ground. 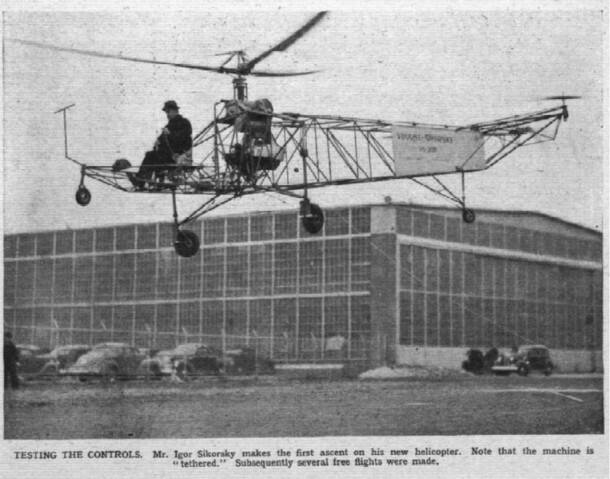 On 14 February 1929, Sikorsky filed a patent for a "direct lift" amphibian aircraft which would use compressed air to power a main overhead "propeller" and two smaller propellers at the rear for thrust. The patent was awarded on 19 March 1935. 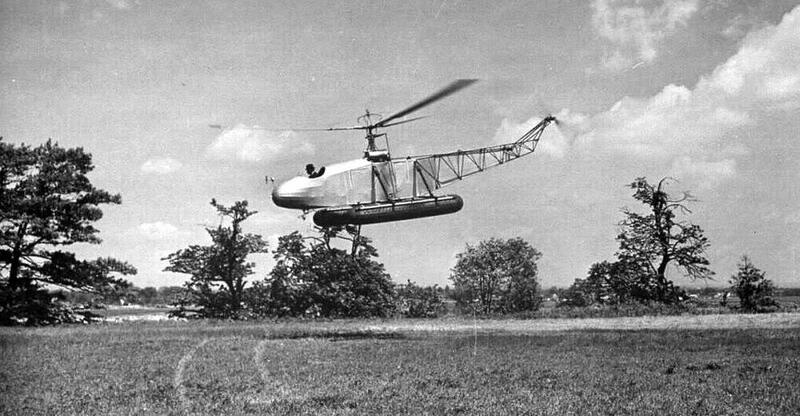 Sikorsky convinced his bosses at United Aircraft that the idea was feasible. With their support, he quickly turned the patent into the Vought-Sikorsky VS-300, which first flew (tethered) on 14 September 1939. The VS-300 established the now-standard configuration of a single main rotor and a single antitorque tail rotor, a rare case of getting it 100% right the first time. Sikorsky flying an improved version of the VS-300, complete with Homburg, at the end of 1941. At this point, Sikorsky - who was virtually alone in the United States in working on helicopters - was still far behind the Germans. They already had been giving demonstration flights of completed helicopters (such as Hanna Reitsch famous demonstration for journalists of the Focke-Achgelis Fa-61 inside Berlin’s Deutschlandhalle in February 1938.). However, Sikorsky quickly caught up. He worked on the experimental VS-300 and came up with a new design, the VS-316. Sikorsky demonstrated the VS-316 with huge success in 1940. Its first flight, now under the United States Army Air Force designation XR-4, was on 14 January 1942. The performance was so good - the chopper flew from Connecticut to Ohio without any accidents and reaching an altitude of 3,700 m (12,000 feet) - that the Army accepted it on 30 May 1942. 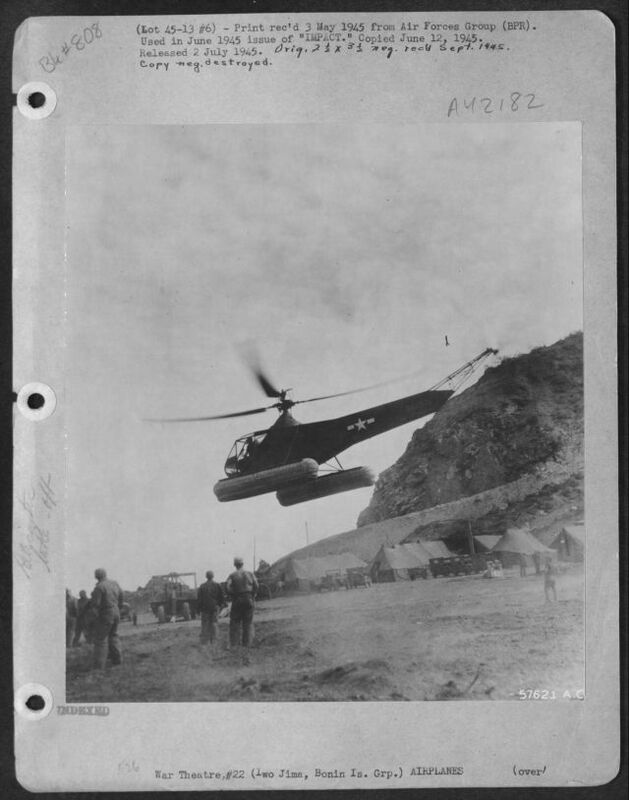 A Sikorsky evacuating wounded soldiers from Iwo Jima. If you didn't know this was World War II, you easily could mistake this picture for Vietnam 20 years later. This is one of those anachronistic shots that could fool even an expert. See below for another photograph of this incident for confirmation. Three prototypes of the helicopter, now designated YR-4, were produced in 1943, and while not yet perfected, the Army ordered 29 prototypes on 5 January 1943. Not wasting any time, the Army sent some to the China-Burma-India theater for rescue work. By the beginning of 1944, the YR-4B, now just known as the R-4, was making rescues of downed airmen in the mountains (the "Hump"). Other uses of the R-4 were in the South Pacific, where it was used to ferry parts for aircraft repair. When not in use, the choppers began to be used for medical evacuations. The British also became interested in the Sikorsky helicopters, and they formed the Helicopter Training School as RAF Andover. The R-4 landing on Iwo Jima, 2 July 1945. The development of the Sikorsky helicopters was well-documented, and many of the earliest models were preserved. The Smithsonian Museum's Steven F. Udvar-Hazy Center has a R-4B, as does the New England Air Museum in Windsor Locks, Connecticut. The earliest version, the VS-300, is on display at the Henry Ford Museum in Dearborn, Michigan. 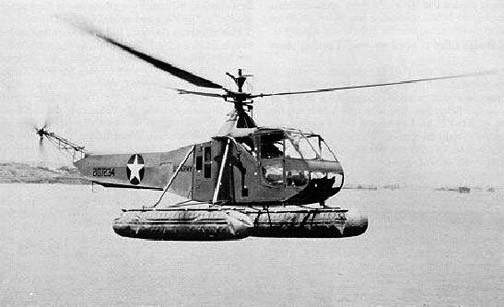 A Sikorsky R-4 equipped with pontoons ("utility floats") for Shipboard operation. The helicopters of World War II, of course, did not make any difference to the outcome of the conflict. However, they did save some lives and perform useful service, and that counts for something. They also progressed in a remarkably short span of only four years from rudimentary experimental versions to looking almost indistinguishable from modern choppers, one of the fastest and most complete weapons developments on record. It also is one of the least-appreciated stories of the world; many otherwise knowledgeable historians don't know much about these helicopters at all because they received very little publicity. 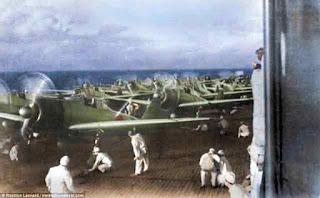 The most remarkable things about the American helicopters of World War II, though, may be that they even existed at all. That is only because of the genius of one man: Igor Sikorsky.